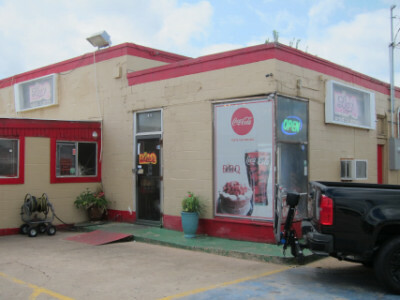 It is hard to find a barbecue restaurant in Oklahoma that does not have at least one item on the menu that evokes a loyal following, but within this distinguished group Leo’s has a reputation of being one of the best. After many years I was able to make my first visit to Leo’s, but I do have the advantage of trying everything on the menu (available on Leo’s Special). Even sharing this as well as a smaller plate with a friend, it was almost too much to eat. We did make a very good dent in it, though. 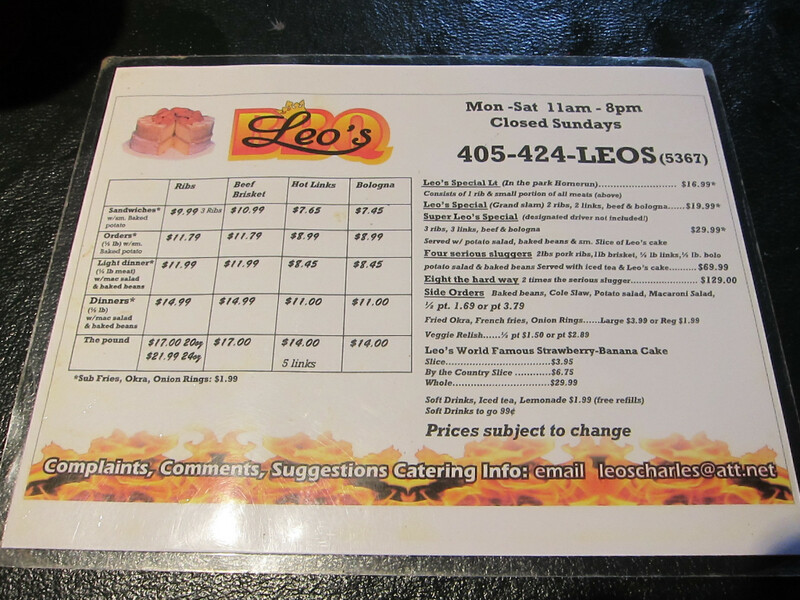 I did not find any item that I thought was the absolute best in Oklahoma, but the combination plate had a consistency of flavor that I really do not find at many restaurants, and this may be Leo’s greatest strength. I did think the ribs were the best item here, but everything else was good as well. The one item I did think may be the best in Oklahoma was the sauce. I like the sauce in almost every barbecue restaurant I have tried in the state, while the same cannot be said for other states. While I think Leo’s has just the right balance of flavors, many other restaurants do it pretty well. Thus I think the sauce is probably not enough to give Leo’s a recommendation as the best place in the city that you could try, but it is a good start. The side dishes here were not my favorite, but they were good. The strawberry and banana cake served with every meal, though, is rightly acclaimed as one of the best features of the restaurant. With Leo’s Special (shown in the above photo) or the smaller Leo’s Special Light, you can literally try everything on the menu. This is really too much to eat, but in my case I was sharing. 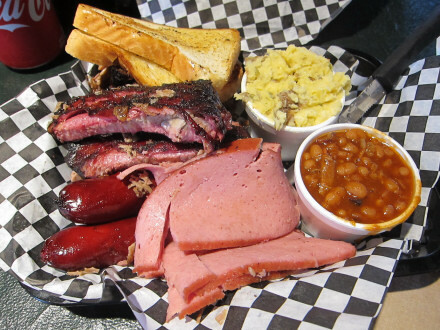 All of the meats were five star, and this is one thing that sets Leo’s apart from many other restaurants. To me, if they make tasty bologna and hot links, they are doing something very special. I thought the star of the show, though, was the Ribs. They were small in size but very good in flavor. The Brisket was the other item that I thought Leo’s did best. The Light Dinner (shown here) has more of it than is served on Leo’s Special, but this is definitely a good choice if you want to concentrate on a single meat. Unlike some of the chain restaurants, this version contained burnt ends that I thought enhanced the flavor (although the majority of the meat was cooked the regular way that you would find anywhere). 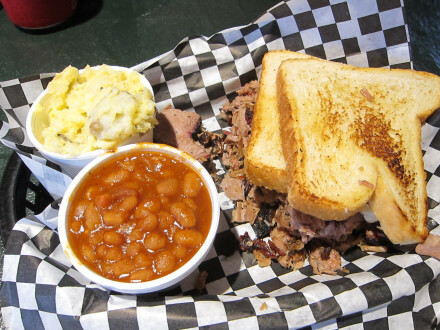 For some reason it is hard to find really good brisket in Oklahoma, but Leo’s has it. I did not make many notes about the Bologna or Hot Links except that I was surprised how much I liked them. There is something in Leo’s cooking method that makes almost everything turn out better than expected. They do not have many choices for side dishes, and the ones I tried were not outstanding, but I enjoyed them nonetheless. The Strawberry and Banana Cake comes with every dinner, and I think is definitely something you will want to try. On my first visit to a restaurant I often go a little wild on the ordering, and that was definitely the case on Leo’s Special, which includes all of the restaurant’s meats. I am glad I tried everything, but I think normally Leo’s Special Light would be the way to go (I got the regular Leo’s Special because it had two ribs and I wanted my dining companion to have one as well). This leads me, though, to my biggest disappointment about the restaurant. At the chain restaurants (which I think most people know but I will not name) I can get two or three meat combination plates, which lets me try everything I really want to have for any particular meal. Leo’s system of making you choose between one meat or all of them, though, is something I find a little bit unusual. The food here is particularly good, but I do not care for the way the menu choices are set up. Other weaknesses here are the fact that they do not have chicken or turkey, and the side dishes were not memorable to me. The sauce was excellent, which makes up for some of the weak points, but the fact is that every restaurant will have pluses and minuses. 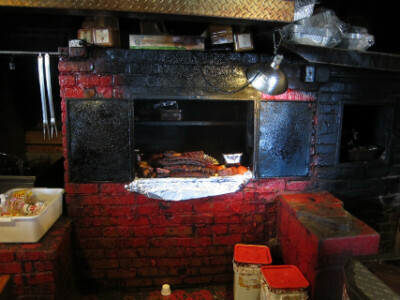 I really did like the homey atmosphere here that gives you the feeling of the way a barbecue restaurant should be.